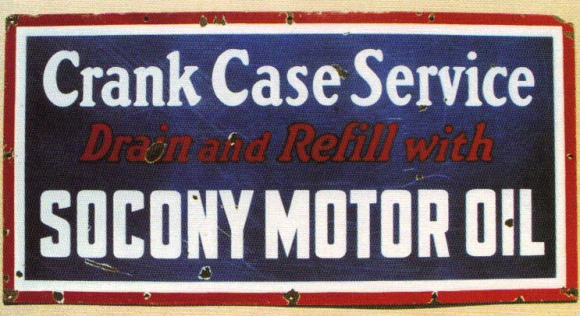 This is a rectangular Socony Motor Oil Crank Case Service porcelain sign. This particular Socony Motor Oil Crank Case Service sign is red, white, and blue. It reads, “Crank Case Service, Drain and Refill with Socony Motor Oil”.